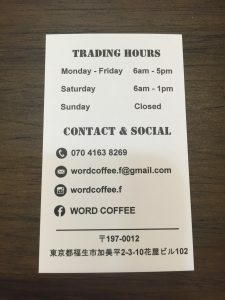 For the coffee lovers out there who might be craving something other than Starbucks or other chains, there’s a wonderful new coffee shop that has popped up in Fussa. 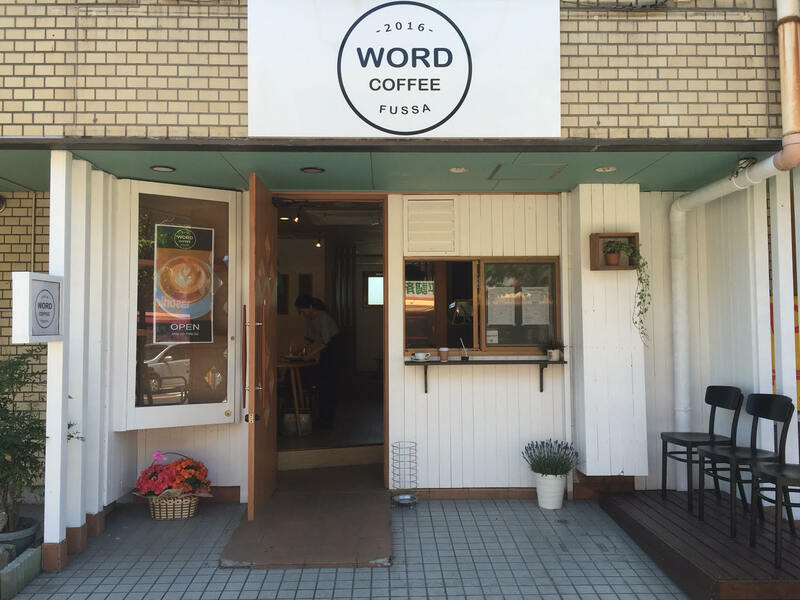 The owners are a young Japanese couple who are passionate about both coffee and baking. 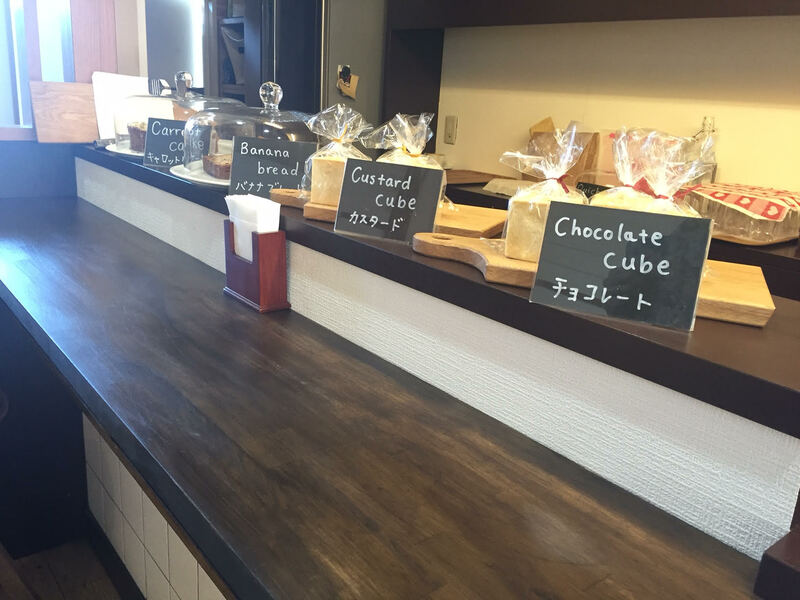 There’s a host of yummy baked treats on offer daily too – when I visited there was carrot cake, banana bread, chocolate cubes and custard cubes. The atmosphere is very chic and minimalistic, but warm and welcoming too. The owners also speak perfect English and have an English menu available too, so don’t let not knowing Japanese deter you from visiting! One of the other great things about this place is they open early. I’ve found many places off base don’t tend to open as early as WORD Coffee do, which is just another reason to love them! DIRECTIONS: Getting there is easy – head out the Fussa gate as if you were going to Seiyu. 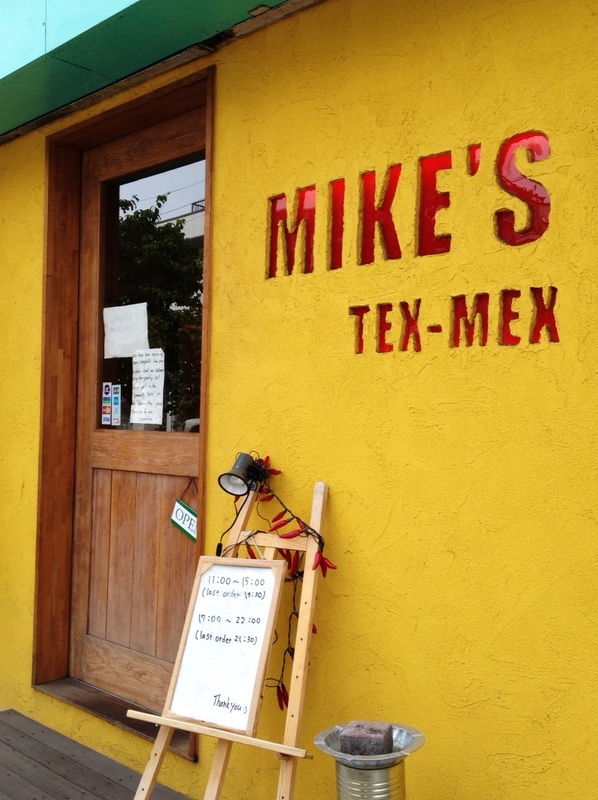 Continue past the Seiyu, you’ll go past Mikes Tex Mex on your left and Fussa Hospital on the right. 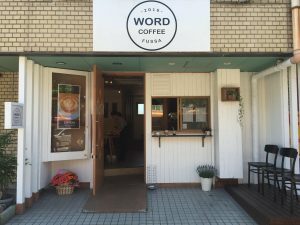 Word Coffee is just a short walk beyond there! They also have a Facebook page and Instagram account! 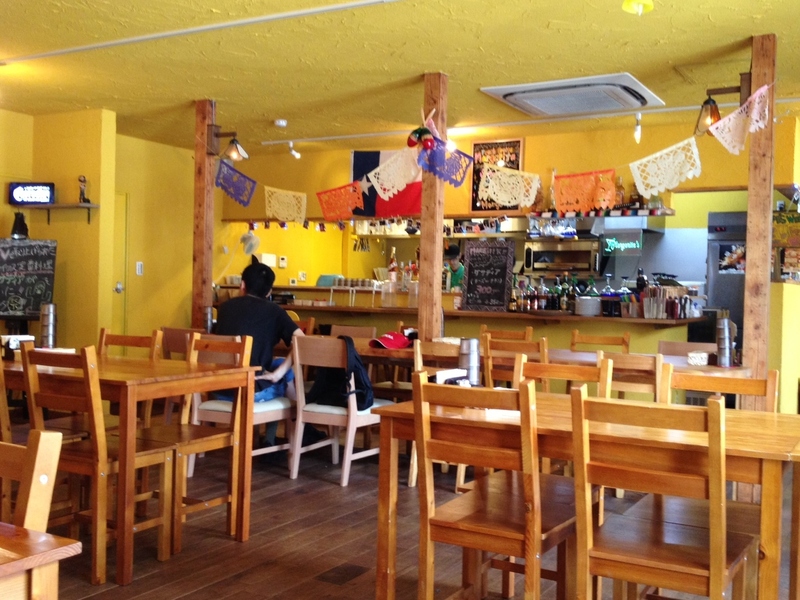 Toraneko Asian-Jamaican Fusion Restaurant in Fussa is located adjacent to Mike’s Tex-Mex, across from the Fussa Hospital, on the “Seiyu Road.” It has friendly staff, marvelous food and excellent prices, especially during lunchtime. 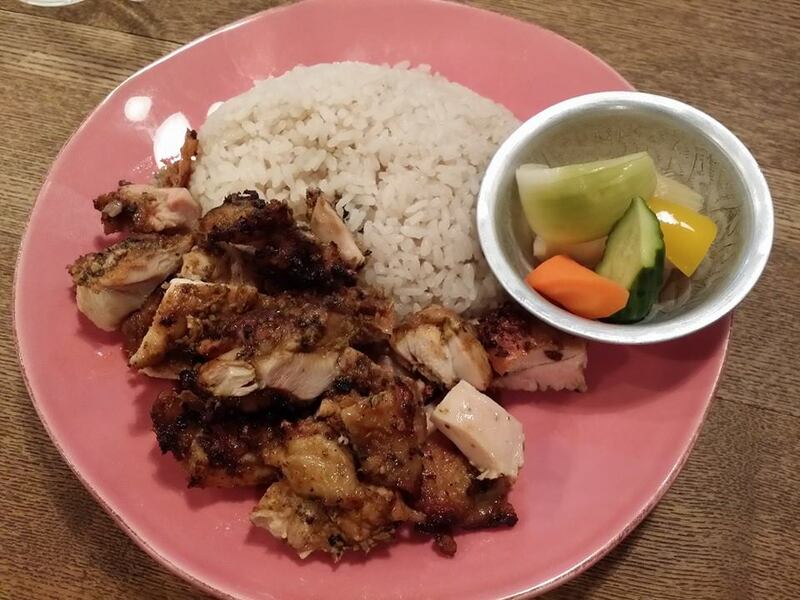 Some of my favorites are the spring rolls, cilantro pickle, and the Jamaican jerk dishes, particularly the chicken with rice and beans. It is open Monday through Saturday, closed on Sunday. Lunch is from 11:30 to 15:00 (last order is 14:30); Dinner is 18:00 to 23:00 (last order is 22:30). Parking is free, but there are only three spaces, located just around the corner. The restaurant is small, seating 18 people. Smoking is allowed, but rarely seen. There is a party menu and all you can drink for 120 minutes. It’s only available during dinner and requires a minimum of two people. The party menu includes a seven+ course meal and is ¥3,600 per person. An interesting tidbit: the restaurant name is listed in Gurunavi, a Japanese language travel/restaurant guide, as “TABETABI TORANEKO” ( 無国籍料理店食旅トラネコ ), which is a clever play on the Japanese words Tabe (to eat) and Tabi (i.e., tabby cat). Toraneko is the Japanese word for tabby cat. Pamela Tubbs, October 2014. Saku-La is a French restaurant in Fussa. If you have a special occasion coming up, birthday, anniversary etc., or are looking for a great date night, consider Saku-La. 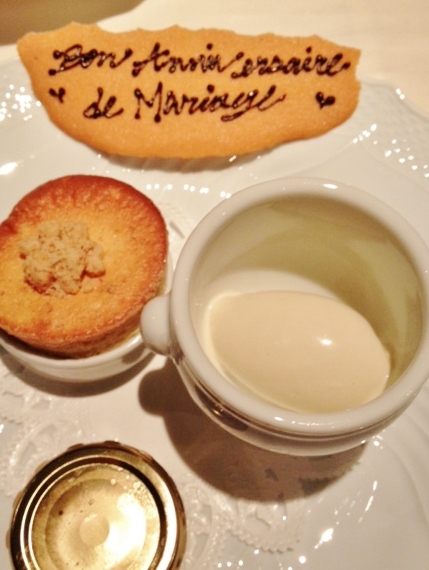 We went for our 10th anniversary and they made it really special. When making the reservation, be sure to let them know it’s for a special occasion. When I made the reservation I told them that it was for our anniversary, and when they brought out our dessert, they wrote “Happy Anniversary” in French with chocolate for us! There is no menu and there are six courses throughout the evening. Although the courses are small, after six of them, we had more than our fill. When making the reservation, they will ask if you have any allergies. You can also make special requests. For instance, we asked to not be served raw fish. Although three of the six courses were either fish or seafood based, all were cooked and served French-style with delicious sauces. Two of the courses were meat and the last course was an awesome soufflé dessert. 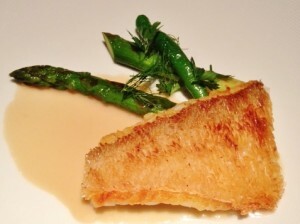 The price per person, including all six courses, was ¥6,000. This did not include any alcohol. We ordered some great red wine though; they have a large selection of French wines. Approximately ¥800 per glass. 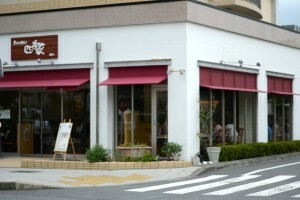 The restaurant is located in Fussa, not far from the Seiyu. Drive north of the Seiyu and turn left at the first gas station. The restaurant is immediately on the left, across the street from the gas station. The address is 14-3, Higashi-cho, Fussa-shi, Tokyo, 197-0021. GSP: 35.745537, 139.326320. You must have a reservation to eat here. To make reservations, call 042-552-0770, 10:00 to 20:30. Please note that they are closed on Wednesday night and also the 2nd and 4th Tuesday of every month. For more info, please check their website: http://www.sa-ku-la.jp/. – Kelly O’Donnell, November 2013.
restaurant also serves a variety of Mexican beer. Most entrees range from ¥900 to ¥1500. Children are welcome as well. In fact, there’s a shelf in the seating area full of toys to help keep the little ones occupied. There is parking at the hospital across the street. My friend and I recently parked there for approximately an hour and paid ¥100. The restaurant is open every day 11:30-14:30 and 17:30 to 22:00, unless otherwise posted. The last order is at 21:45. They ask that you call in advance during a Japanese holiday to make sure they are open. Telephone: 042-513-5210. If you search for Mike’s website through Google, click on “translate this page” and the page will appear in English. They also have a Facebook page: https://www.facebook.com/yokotaTEXMEX. GPS 35.746357, 139.326014. Michelle Nexon, August 2013. DIRECTIONS: Shokudo is on the Seiyu road. GPS coordinates: 35.747579, 139.325687. Here is the new restaurant’s website, with their main menu items: www.shokudo.jp/menu/ as well as their map link: http://www.fujiofood.com/shop_search/shokudo/shop_1462.php. Summer is coming up and I’m trying to watch my carbs. 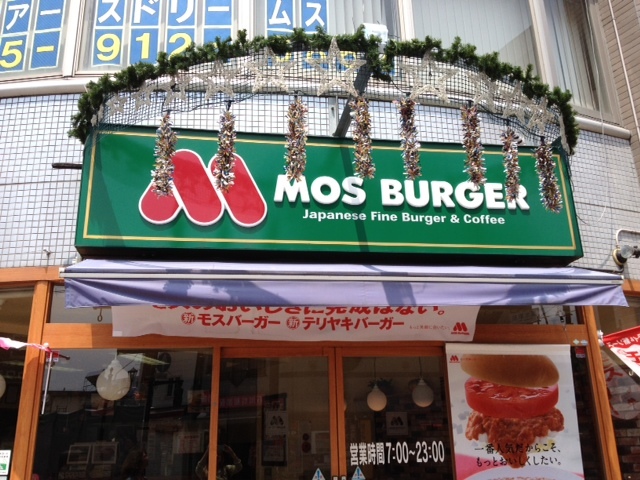 I checked out Mos Burger today and I was pleased to see that they offer burgers wrapped in crispy lettuce and onions instead of buns. It reminded me of In-N-Out burger in California. The sauce was really good on the burger and it came with a small side salad and a drink. 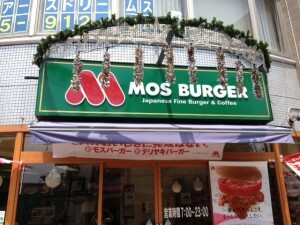 They do offer burgers on buns if you prefer and they also have chicken or even crispy shrimp burgers. There were lots of vegetarian options too. We went to an all-you-can-eat, organic, locally grown, Japanese buffet in Hamura today. It was clean, fresh, and tasty and is owned by the same people as ZonaVoce. There was yakisoba, tempura, curry, three kinds of rice, pickled dishes, and salad. I particularly enjoyed the stewed and fried fish dishes and desserts including sweet beans, tangerines, and sugar toast. Hours: lunch 11:30am-2:30pm, dinner: 5:30pm-9:30pm. Lunch price is ¥1200 for adults and ¥600 ages 5 to 11. Validated parking available at the hotel. Directions: Shikisai Buffet is located inside the Plaza Inn in Hamura, just outside the Hamura train station. To drive there, go straight out the Fussa Gate onto Route 165. At the fork in the road stay to the right, as if you were driving to Fussa Train Station. Turn right onto the road with Seiyu. Pass the main Seiyu building on your left. Continue 2.3 km. Turn left one light past Route 163 at the street with a McDonalds on the far, right corner. The Plaza Inn is one block down on the left. GPS coordinates: 35.75905, 139.316719. -Anna Quan- Schmoldt, February, 2013, photos S. Straus 2013. You know this place is special the moment you walk in. 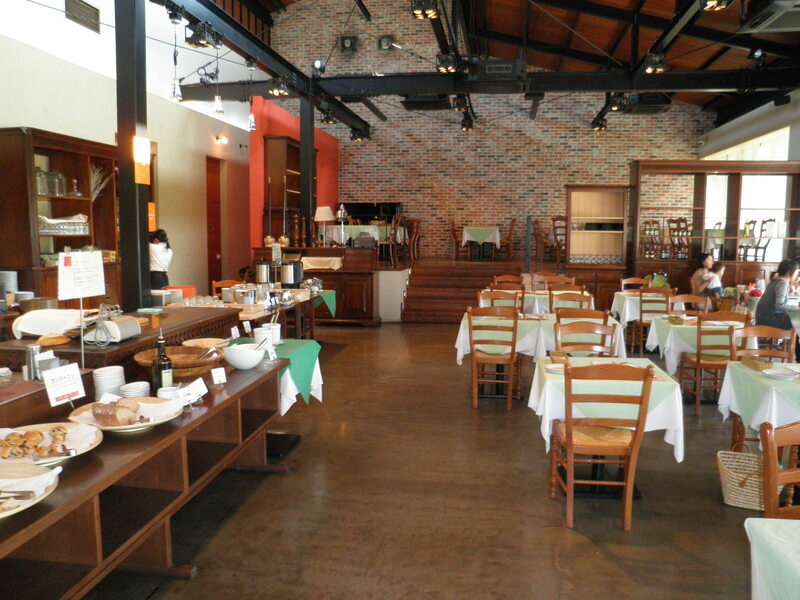 Zonavoce is a beautiful restaurant that has a warm brick and wood interior. With its high ceilings, it feels airier and more tranquil than most places near here. The menu is limited but everything is fresh and wholesome. Lunch sets start from about ¥1,000 for mushroom pasta or minestrone, with all-you-can-eat tossed salad, plus self-serve tea or coffee. Wood oven-fired pizzas come in a rotating variety of flavors, usually including Basil Margarita for ¥1,100. Add ¥380 for a set with self-service salad, bread and drinks. The set is great, because the salad bar has nice fresh greens and the bread is delicious. (Did I mention the place is also a bakery?) 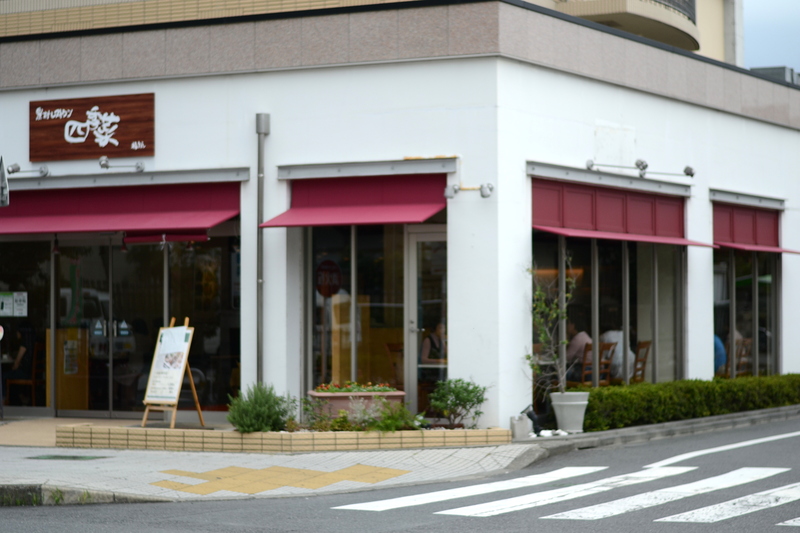 The restaurant is half a block from Fukushimaya Supermarket, a related store that promotes organic and natural food. Added bonus: It’s near the Hamura Zoo! Store hours: 9am-9pm. Zonavoce: 11:30am-3pm (last order 2pm). www.fukushimaya.net/shopinfo/shop_market.html. If you like this restaurant, you may also like another restaurant by the same owner: Shikisai Buffet. Tel. 042-570-0744. GPS: 35.7624, 139.3209. DIRECTIONS: Turn right out Fussa Gate, or left out the Terminal Gate (0km). Turn at the “T” the intersection signposted “Shorin Dori Ent.”, 0.6km from either gate. (This is the intersection where George’s used car dealership is, near Ushihama Garage.) Cross the tracks. Drive through two lights. Turn right onto a four-lane divided road at 1.2km. (Marked 249 on Google Maps. Metal Black Cat shipping depot will be on your right.) Go straight on this major road until the intersection signposted “Hamura Sta.” at 3.3km. (“Eagle Best Car Shop” on your right.) Turn left at this traffic light. The restaurant is ahead, on your left (3.4km), with a small parking lot adjacent to the building, just before it. For the Fukushimaya supermarket, continue down the same street about a block, toward Hamura station. The store, a large pinkish building with a sign in English over the awning, will be on your right. Teresa Negley and Julie Hudson, 2010. Directions updated 2012. It is called “Screaming Sushi” among Yokotans because the sushi chefs boisterously welcome customers and sometimes make loud announcements of special dishes. It is the most popular place to go for revolving-belt sushi in Fussa. If seats are not available upon arrival, sign up at the new-fangled monitor for a table or counter seating (“countah” in Japanglish). Generous portions are priced between ¥126 and ¥577 per plate, plus miso soup refills are free at lunch. Chopsticks are in the oblong box and pickled ginger “gari” is in the square box. There are two types of powdered tea, brown hoji-cha and green matcha; put two spoonfuls in a cup and add hot water from the push lever spigot. Besides sushi (including California rolls, seared salmon, shrimp and avocado), there is fried chicken, rice paper spring rolls with shrimp and lettuce, shrimp tempura, fresh fruit, crepes and more. Orders from the menu (English with pictures) may also be placed with the chefs or waitresses. If a bell rings, a chef may be offering something special such as seared scallops, fresh tempura, or fresh fish to be fileted. Returning customers may ask for a point card eventually good for ¥600 off a meal. DIRECTIONS: Go straight out the Fussa Gate (0km), veer right at the “Y” and turn right onto Yanagi Dori, aka the Seiyu street (0.7km, Fussa Sta. E. Ent. No.2 intersection). Keep straight (through approx. nine traffic lights) and the restaurant will be located on your right (2km), across from a Shell station. Hours: 11am-11pm, 042-539-1418. GPS: 35.75204, 139.3231 August, 2011. This is a unique (kappo ryori) establishment where the chef’s specialty is fresh seafood (including raw). Cooked meat (beef and pork) or vegetables are also available by advance request for meal partners. Meals may run ¥ 5,000 or more. Discuss budget when making reservations. The specifics are up to the chef and depend on ingredients available. 5% tax applied. Beer costs ¥700 and sake ¥1,000. To satisfy a craving for Indian food, visit Gandi. The lunch set is ¥630 (including tax) with a drink for ¥105. A ¥840 lunch special advertised on the door included a small salad, nan bread, and vegetable curry. The menu is in English and the spice levels range from 1-4, with 1 = mild. Other dishes include chicken masala (¥1,155), fish masala (¥1,050), chicken curry (¥893), while vegetarian dishes range from ¥683-945. Tandoori barbeque is ¥550-1100, while one piece of nan (enough for two) is ¥298 (flavored nan is higher). The refreshing yogurt lassi drink is ¥368. One of the most wonderful restaurants in Fussa is tucked away in a stucco-looking building not far from Yokota. An English menu is offered at this eclectically-decorated restaurant, where the owner-built furniture reminiscent of the novel The Hobbit. The menu is not extensive but is delicious. Puris, a round pastry with beef inside, is mouthwatering when Tabasco is added. Piri Piri, a hot stew set that comes with salad, bread, and fruit is absolutely divine, as is the beef curry, kima curry, and the African fried rice. Other selections include two types of spaghetti, mushroom and tofu salads, sausage, smoked liver, chili beans, and ethnic curry. Prices range from ¥700 for a salad to ¥1800 for Piri Piri, but most dishes are ¥900-¥1200. There are eight choices of coffee (e.g. American, French, cafe au lait and cocoa) and nine types of tea (e.g. Earl Grey, apple, cinnamon) for ¥450-¥550. Hours: Noon -10pm, and 3pm – 10pm on Sundays. Unfortunately, the restaurant is not always open during posted hours, so it’s best to have backup dining plans. Tel. 042-553-4711. DIRECTIONS: Drive straight out the Fussa Gate. Cross one set of train tracks and go right at the “Y” intersection. Go straight through one stoplight and at the second light, turn right onto Yanagi Dori. Drive through six lights. Cafe Spice will be on the right, before the seventh stoplight. It is across from Bikkuri Donkey, just beyond Saizeriya. If you get to Fussarokucho Intersection, you’ve gone too far. There is only one parking spot in front and a narrow parking spot in the back. Once you have noticed the red, green and yellow signs for the Bikkuri Donkey restaurant chain, you will see them everywhere. The meals here are mainly hamburger patty combinations. There are also some curry rice, spaghetti choices, and large salads. This is a great place for kids and has a comfortable family feel to it. The restaurants have large wooden menus with pictures, so the language barrier is not a big problem. Very generous servings come on large wooden platters. Lunch is reasonable: ¥580 including rice and soup, or ¥660 with coffee. 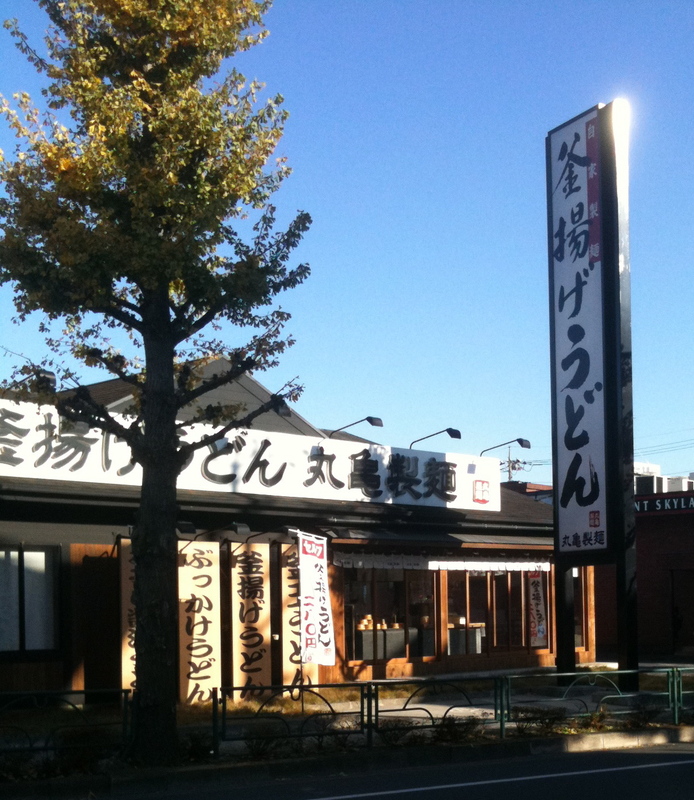 This chain of noodle restaurants has one in Fussa. It is located on Yanagi Dori. Aji no Mingei noodles shops are definitely American friendly—they are located on a major street, have good-sized parking lots and picture menus. The restaurants are about the size and openness of an American Dennys. The decor is Japanese-Kyoto style with white stucco walls accented with touches of red, exposed wooden beams, and lanterns and hanging lights of bamboo and rice paper. The wide booths have tatami seats and will seat six. With a delightful dichotomy, a kimono-clad waitress will use a hand-held computer to take your order. The menu offers combinations of noodles (hot and cold), rice, soups, and tempura shrimp and vegetables. Prices range from ¥850 to ¥l,000. The food is enjoyable and popular among the Japanese. DIRECTIONS: To reach Aji no Mingei (noodles), get on Yanagi Dori (the major road running past Seiyu) and stay on it. You will travel a fair distance and pass McDonalds and Dennys. The restaurant is on the left-hand side and diagonally across from the Mini Stop, convenience store. It is at the City Hall Intersection.. Brian Marriott, Diane C. Lyell, 2002. Updated Yasuko Katayama, 2012. 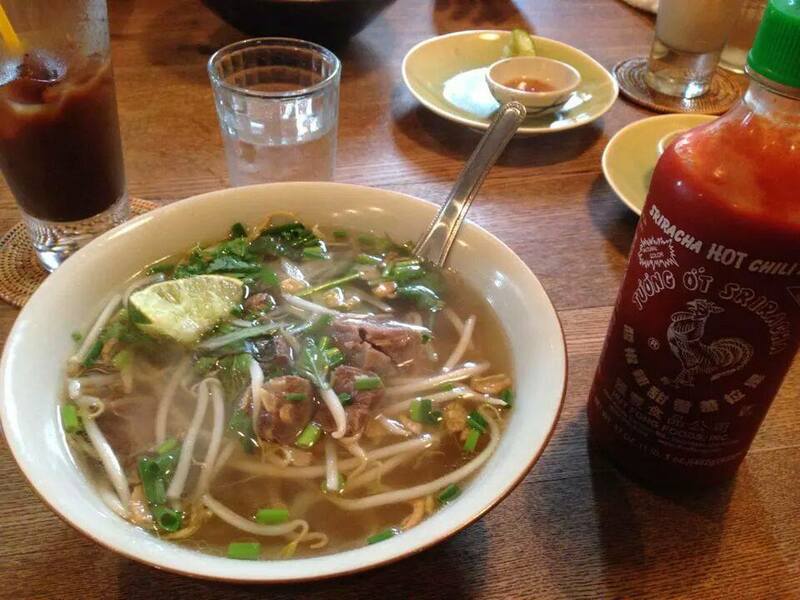 It’s all about the noodle at this counter-service restaurant. Kama-age (prounounced “Kamma-Ah-gay”) is a relaxed place that would be easy to bring a large family to and comfortable enough to visit on your own. They make the noodles right at the counter. Steam typically fogs the front windows, creating a cozy atmosphere despite the large size of the restaurant. As you’re deciding what to order, watch the ladies expertly stretch and cut the noodles, then dry them with what sounds like a hair dryer. Pictures of various dishes are posted on signs overhead, in front of the noodlemakers’ area. We gazed up at these signs for a long time before one of the ladies motioned toward another menu posted at on an eye-level placard facing the counter, enabling us to order by pointing. I pointed to a picture of noodles swimming in some kind of brown sauce. “Curry?” she says. Great! That’s what I ordered. My husband, instead of pointing, read one of the English labels on the overhead signs. We didn’t know what the word meant, but he was happy with the dish he got. Once you have your bowl, push your tray down the line and contemplate the self-serve tempura. We selected eggplant, shrimp and a large onion ball. The cost for two “small” (they were actually quite big) bowls and 3-4 tempura pieces was a mere ¥1000. Green tea and water were free but we didn’t notice any other beverage offerings. Next time, we plan to check out the jug of sauce in the seating area that other customers were ladling over their dishes. The seating area was vast, with long tables that would seat eight and other seats intended for singles. The restaurant is an easy walk or bike ride, especially from the Terminal/West gates. It also has a substantial parking lot in back. DIRECTIONS: This restaurant is on Shin-Okutama Kaido, a mile from the Fussa Gate. Exit straight out the Fussa Gate (0km), stay left at the “Y” and cross two sets of train tracks until you reach the intersection with ShinOkutama Kaido (1.1km). The Fussa Post Office will be on the far right corner. Turn right on ShinOkutama Kaido. Go about half a kilometer, through one traffic light. The restaurant (1.6km) is on the right, between a restaurant called Skylark and a fire station. 11am-10pm. GPS: 35.743581, 139.324665.